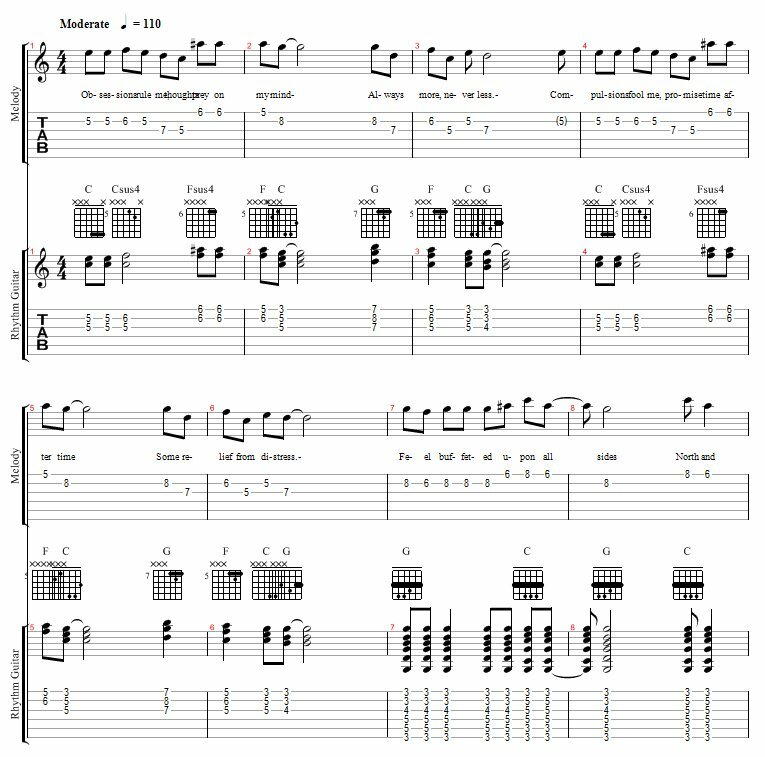 Guitar Pro-generated melody and rhythm guitar tracks in Guitar Pro 5, MP3 (735K), MIDI, and PDF formats. I can't sing; more precisely, you wouldn't want to hear me attempt to sing! I knew my originality was too good to be true. Faith No More has a song, "From Out of Nowhere", with a line "Obsession rules me ..." And I already had it listed on my OCD Music page! Every breeze is a storm. Don't know which way I am going. My mind can't get no rest. When I actually play the song, I'm a little imprecise about the timing between lines, so take the transcriptions below with a grain of salt. 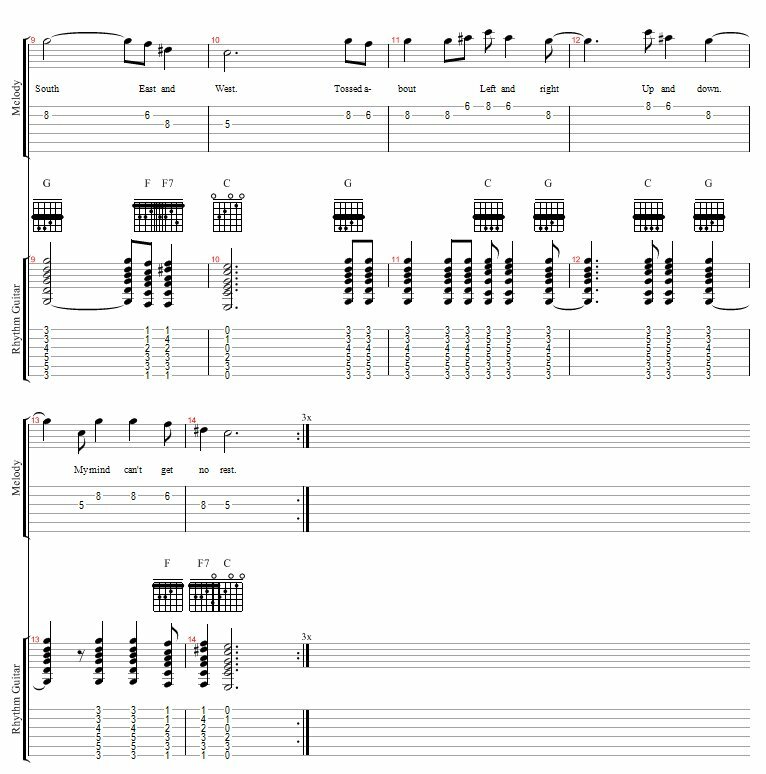 I play the rhythm guitar part for the verses delicately and then wallop the chords on the chorus - like waves crashing, you know! Since I can't sing, I don't know if the melody is singable or better used as a guitar solo.